Hi guys, let me share some interesting infographic for you. 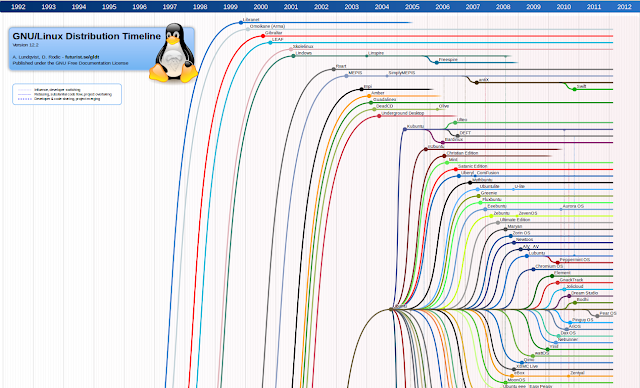 Today I will share some picture that created by D. Rodic by title "GNU/Linux Distribution Timeline". This picture give overview about the history of Linux distribution creation complete with when it was created and which distro it was referenced. Trough this image, you can see exactly when ubuntu was created, from which distribution Ubuntu was developed and which distribution was developed based on Ubuntu. Hope that Infographic above will complement you knowledge in linux.